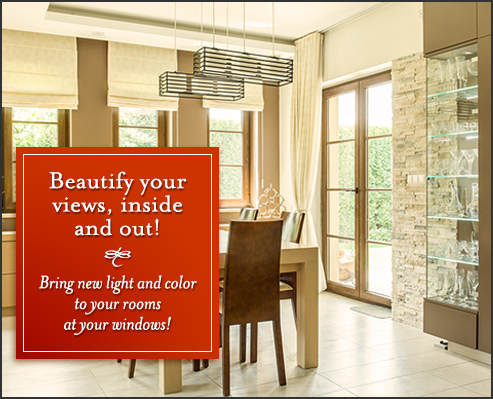 Reframe Your Views This Spring with Custom Window Fashions! How to Avoid Choosing the Wrong Window Treatments for Your Beautiful Rooms: Shop At Home. Layering Window Treatments Adds Depth and Elegance to Your Best Light Source. TRENDING: Natural Fibers and Organic Materials Make Softness Beautifully Functional! GREAT 25% OFF SAVINGS! Order Your New Custom Window Fashions BEFORE December 31st!